Description: This is a geologic map Florida, current to 1964. The different color and pattern codes represent the formation in that particular area. For example, the area that is all orange (mostly found in the Florida Keys) is the Key Largo Limestone from the Pleistocene Series and the solid blue is the Avon Park Limestone from the Eocene Series and Claiborne Stage. This information is found in the chart. 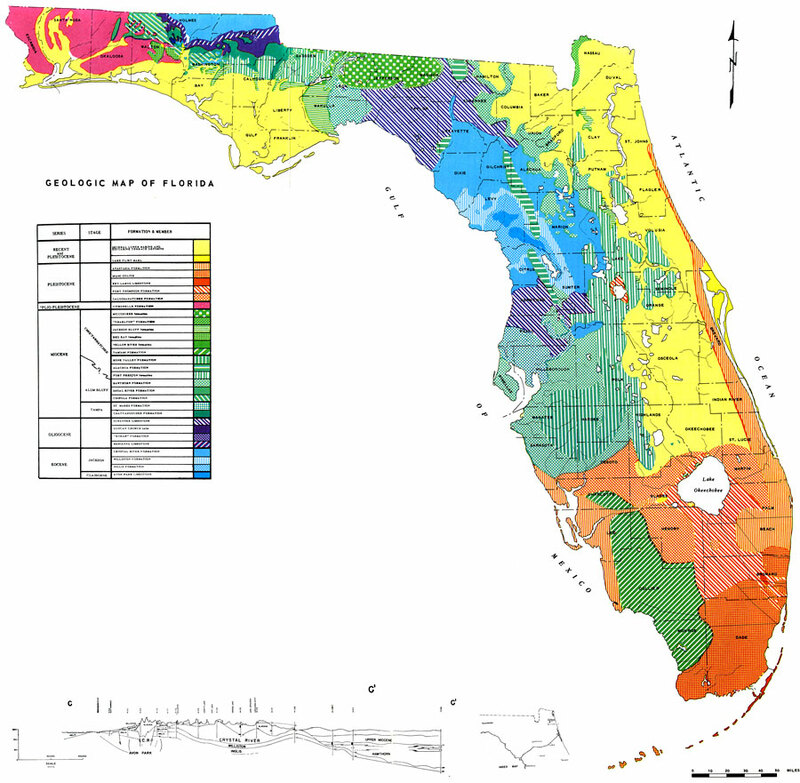 Please see the article Geologic Map of Florida by R. O. Vernon and H. S. Puri for more information.